Many runners and fitness fanatics have been quick to embrace wearable wireless tracking devices for measuring physical activity and calories burned. Now, a growing number of physicians are formally studying whether such “wearables” can improve patients’ health by spurring people to get moving. Amy Wheeler, a primary-care doctor at Massachusetts General Hospital, hopes that wireless tracking devices can help motivate her obese patients do what they haven’t been able to do on their own: lose weight. 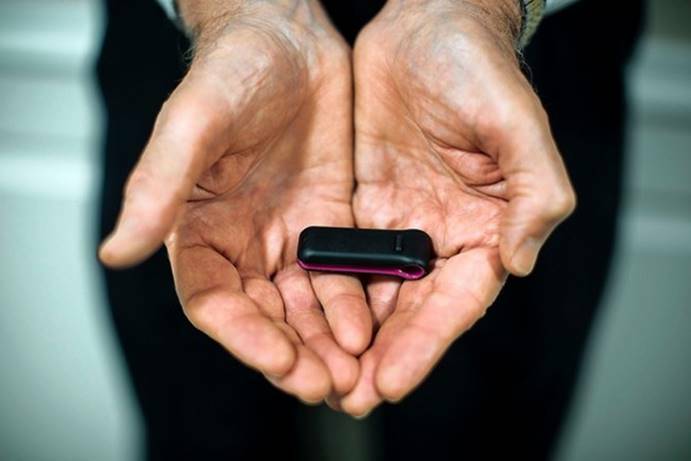 Last year, Dr. Wheeler was one of a group of doctors who gave FitLinxx pedometers to 126 patients with Type 2 diabetes, often related to poor diet andexcess weight. The pedometers tracked how many steps the patients walked and linked to a software program that calculated whether patients met exercise goals. Based on patients’ progress in meeting their goals, data from their electronic medical records, and whether it was sunny or rainy that day, patients would receive motivational tips via text message. Patients who received the tips did a better job of controlling their blood-sugar levels than those who didn’t, said Joseph Kvedar, director of the Center for Connected Health, part of the nonprofit Partners HealthCare system, who helped oversee the study. He declined to reveal specific results before publication in a medical journal. Drs. Wheeler and Cook are among a growing group of health-care providers who believe that the wealth of data from these gadgets could transform medical care. But adapting consumer gadgets for clinical use poses challenges, from doubts about the reliability of the data to technical hurdles of collecting and analyzing the information. Privacy and security concerns loom large as well. Privacy advocates worry that as Americans upload potentially intimate health information into gadgets and apps, there aren’t enough protections to prevent the data from being misused. Some physicians question whether patients will remember to wear such devices—or remember they arewearing them. That is what happened when Dr. Cook gave wireless trackers to 30 healthy 80-year-olds. Like most of the participants in that study, Chuck and Velma Steidinger said the tracker didn’t influence their behavior because after a few days they forgot the device was there. “It didn’t change anything I did,” said Dr. Steidinger, himself a retired physician. Health-tracking wearables generated more than $1.6 billion in sales last year, a number projected to rise to $5 billion by 2016, according to Gartner Research. Such gadgets include Nike Inc. NKE +0.47% ‘s FuelBands, which monitor activity and sleep and sync with apps on a smartphone. Similarly, Fitbit watches and bands track activity and calories burned, comparing them to the user’s goals. Prices range from about $60 to $150. And a new crop of devices tracks more-intimate information: LifePatch lets parents monitor a child’s body temperature remotely. Bellabeat, when attached to a smartphone, enables a pregnant woman to watch her baby’s heartbeat. “With all the device and genetic data we’re going to get on you, it’s a whole new era of personalized care that’s going to emerge,” says Dr. Kvedar of the Center for Connected Health. Market researcher Gartner Inc. says trackers have been incorporated into more than 2,000 corporate-wellness programs. Cigna Corp. CI -0.44% recently gave activity-tracking arm bands, and health coaching, to 600 employees considered at risk of diabetes at four companies. A large majority, 86%, said they were more motivated to be active, said Cigna Product Solutions Vice President Eric Herbek. Dr. Cook’s study of post-surgical patients at the Mayo Clinic illustrates the technical challenges for using data from consumer devices. Mayo technicians had to write software to extract the information from Fitbit’s system, so doctors could see it on an iPad. Even then, the data weren’t connected to the rest of a patient’s medical record. Merging data from different devices into diverse health databases, governed by varying legal protections, further complicates things. “There’s tremendous fragmentation of health data, and no easy way for physicians to get to it,” said Dr. Cook. Web giants Samsung Electronics Co. 005930.SE +2.12% and Apple Inc.AAPL -0.09% are trying to bridge that technical gap. Recently, the companies announced plans to build platforms that collect data from apps and wearables, which medical providers will be able to access. Apple has partnered with Mayo and with Epic, a provider of electronic medical records, in this effort. Privacy is an issue. Kaiser Permanente physicians are testing wearables in more than a dozen pilots to see if they have any medical value. Whatever the results, Scott Young, senior medical director of the health system’s Care Management Institute, said that before physicians start recommending the devices to Kaiser’s nine million members managers want to ensure that patient information won’t be misused. The U.S. Food and Drug Administration recently said it won’t regulate apps that aren’t being marketed to monitor a disease or condition, or to treat or diagnose a patient. The move is a boon to the industry, but leaves open some regulatory questions, said Bradley Merrill Thompson, an attorney specializing in medical devices at Epstein, Becker & Green P.C. Consumers may use the devices to self-diagnose, which can be risky, he said. For example, a heart-rate device for pregnant women, or an app that helps consumers determine whether a mole may be skin cancer, may cause patients to skip doctor visits.